This year, Mother’s Day in the UK will fall on Sunday 26th March. If you haven’t yet got the date in your diary, or if you’d forgotten altogether don’t worry, there’s still plenty of time to plan something truly special and show your mum just how much you care. Treat your mum to a lunch or dinner with all her loved ones. A great way to celebrate Mother’s Day is to take your mum out for a delicious meal. 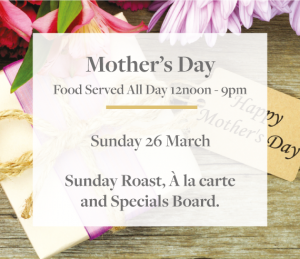 At the King William, we’re always busy on Mother’s Day allowing all the mums to enjoy their families to the full without doing any of the work. Food is served all day from noon to 9pm, Do reserve your favourite spot to avoid disappointment. If you want to make a weekend of it, you could even book yourself and your mum a twin-room and spend a day or two exploring the stunning countryside that surrounds the Inn. On Mother’s Day, all most mums want is to spend a bit of time with their family. Taking your mum out for a walk in the fresh air is a lovely way to spend the day together. Thanks to the UK’s excellent network of footpaths, you’re never too far from a country walk. If you’re staying at the King William – or stopping in for lunch – we’ll be able to give you tips on the most beautiful walks in the area. Norfolk is home to a number of pretty market towns and seaside settlements. 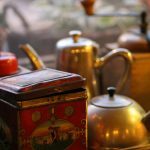 A day out in one of these characterful locations will give you the chance to go antique hunting, sample some of the region’s famous cuisine and explore one of the most beautiful corners of the UK. The nearby coastal villages, the world renowned Sandringham and the county city of Norwich are all well worth a day’s exploration. For more ideas on discovering Norfolk and everything it has to offer, take a look around our website or get in touch with a member of our team. This entry was posted in General News, What to do/Where to go and tagged Coast, Country, Dinner, Eating Out, Family, Food, Inn, Lunch, Menu, Mothers Day, Norfolk, Restaurant, Sandringham, Shortbreak, Walking on March 16, 2017 by Lili Skerritt. 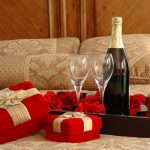 To get you in the mood for a bit of romance, we’re taking a look at the history of Valentine’s Day and how you can make the most of this romantic occasion in the heart of Norfolk. The origins of Valentine’s Day lie in Ancient Rome. Once upon a time, the 15th February was a pagan fertility festival called Lupercalia. However when Pope Gelasius I came to power he rebranded it as a Christian festival and declared February 14th St Valentine’s Day. 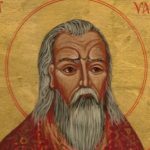 The St Valentine he was honouring is thought to have lived around 270 AD. The saint was said to have performed secret marriages against the wishes of the then emperor who preferred his soldiers to remain bachelors. When he was caught, St Valentine was quickly put to death, meeting his end on February 14th. It wasn’t until the 14th century that the feast day was linked with romantic love. 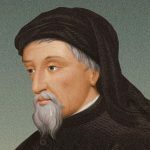 English poet Geoffrey Chaucer wrote a poem in honour of the engagement of England’s Richard II and Anne of Bohemia. In it, he associated Valentine’s Day with mating birds and the royal engagement, starting an enduring tradition as he went. The tradition of giving cards on Valentine’s Day developed over a number of years. In the UK, Valentine’s cards had become popular by the 18th century, however in the US, the tradition didn’t become common until the 1850s. Today, according to the Greeting Card Association, around 25% of all cards are now sent on Valentine’s Day. 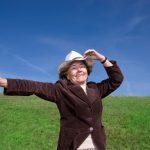 Whether you believe in Valentine’s Day or not, it’s impossible to deny that putting some dedicated time aside for your loved one is a great way to strengthen a relationship. Putting thought and effort into planning a treat shows your partner you really care, while spending some quality time together can be great for your relationship. If you’re thinking about whisking your other half off for a night away in the countryside this Valentine’s Day, Norfolk is the perfect destination. Give us a call today on 01485-571765 to book your room or Click here to go to our Valentines page on our website. This entry was posted in General News and tagged Love, Luxury Accommodation, Menu, Norfolk, Relaxing break Norfolk, Romance, Shortbreak, Valentines Day on January 30, 2017 by Lili Skerritt. Start the festive season in style with an evening of fine dining and wine tasting at The King William on Wednesday, 26 November. This special event includes a three course supper for just £25,00 with complimentary wines to sample, and purchase at great prices ready for the Christmas holidays. Master of Wine, Mark Lynton, from Lynton Wines brings his wine selection and expertise to the evening. To book your table call 01485 571765 – and room if you wish – ask for our special accommodation deals for the event. Cosy log fires and comfy sofas await – not forgetting excellent Real Ales and fine wines – The King Will again features in next year’s national Good Beer Guide. Please visit the website for updates on all events at the Inn, accommodation and dining offers – or please call in to discuss your Christmas party or special celebration. 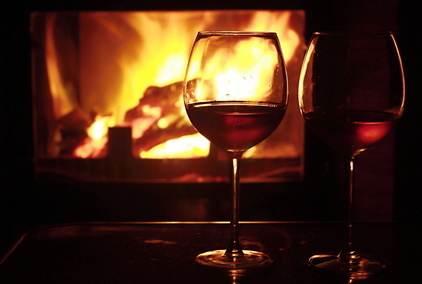 This entry was posted in General News and tagged cosy, Event, Lynton wines, Norfolk, Shortbreak, Wine, Wine tasting, Winter on November 5, 2014 by Lili Skerritt. We are ready for Easter, are you? Easter Short Breaks – Book Now! With Easter falling early this year you can still take advantage of our great value Winter short break prices. we also have excellent 3 nights offers for you from 1 April. * Supplement applies on certain dishes. SEE MORE SPECIAL OFFERS ON OUR WEBSITE – CALL O1485-571765 TO BOOK NOW! This entry was posted in General News and tagged Easter, Holiday, Norfolk, Offers, Shortbreak on March 13, 2013 by Lili Skerritt.